Leather books feature photographic prints bound in full-grain leather covers and a hard substrate between pages. Weighty and resistant to damage, leather albums are perfect for a wedding book! Linen books have textured, linen covers and pages that are glued back-to-back (without any material between them). 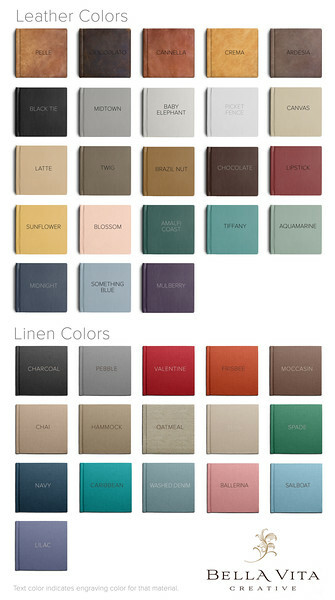 Linen books are thinner and lighter, making them great for portrait, engagement, or sign-in books.